While you can choose traditional wedding gifts such as flowers and fruits, sometimes what really keeps the romance going is an appliance perfect for your spouse. 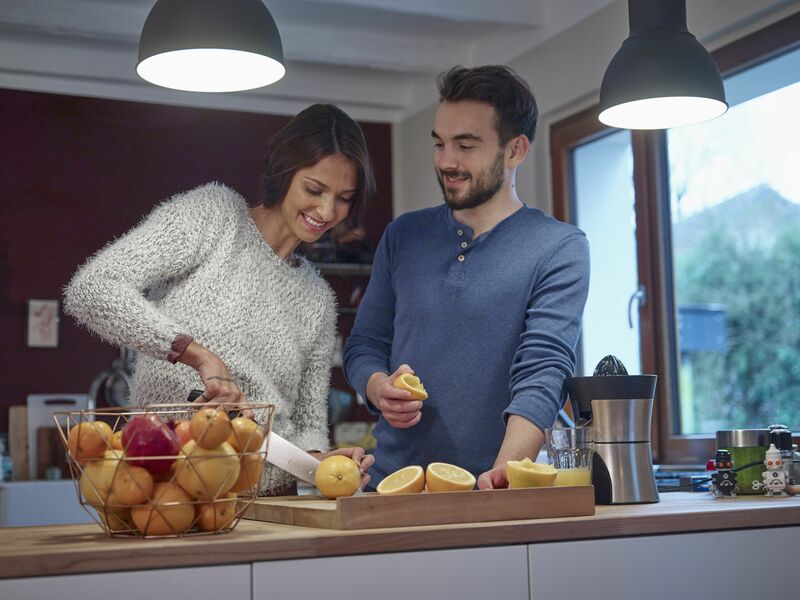 Take into consideration the type of personality your spouse has, such as their tendency to work on cooking and recipes in the kitchen, outdoor projects that involve carpentry or perhaps their admiration for tools to stow away in their collection. Whether you gift your spouse a bread maker, rice cooker, electric grill, mixer or some other gadget for the kitchen, consider the type of kitchen appliance they will really yearn for. Blender. Perhaps your spouse has been thinking of getting fit and could use a blender for protein shakes or smoothies. Slow Cooker. Does your spouse love all things food? This slow cooker is great for both advanced chefs and busy bees who need something to cook on its own. Waffle Iron. If your spouse is a breakfast fan or brunch aficionado, a waffle iron might be right up their alley. Coffeemaker. A staple for any coffee lover or caffeine addict. Juicer. Level up their love for natural, fresh fruit drinks and health with a fancy juicer. Household appliances can make great wedding anniversary gifts, including vacuum cleaners, sewing machines, heaters, air purifiers and more. While these everyday materials may not appear to be romantic, if your spouse is dying for one of these around the house, it might just be what gets their heart pumping. Under-the-Bed Safe. Whether your spouse watches too many thrillers or just likes peace of mind when it comes to safety, an under-the-bed safe can be useful for special documents and more. Cocktail Machine. Enjoying a drink every now and then may not require a cocktail machine, but perhaps your spouse would like to mix it up or impress guests at the next party. Get a cocktail machine for a little buzz. Mason Jar Storage Racks. Find new ways to organize around the house with trendy, modern mason jars that can act as storage racks. Robotic Vaccum. Perhaps your old vacuum needs an upgrade. Try a robot vacuum like the Roomba to save time and entertain both your spouse and your pets. When you think about romantic gifts, hair may not be top of mind. However, we know that both women and men love to feel confident and forward when it comes to their hairstyle. Curling or Straightening Iron. A typical staple of hair appliances, the latest curling or straightening hot tools set can certainly impress a spouse who cares a lot for their hair. Laser Hair Growth. Maybe hair isn't the first thing that pops into your head when you think of your spouse. Luckily, there are medical hair growth systems out there that have been cleared by the FDA. Thermal Brush. Upgrade your current brush with a thermal brush that can provide a fuller looking hairdo for your boo. Beard Comb. Men who love their beards will love their beard comb even more. Bath spa appliances offer tons of refreshing, romantic possibilities. After gifting a bath spa appliance, consider running a nice bubble bath with luxurious soap to go with it. Foot Massager. Treat your spouse to a pedicure with a do-it-at-home foot massage machine that's worth the money. Facial Scrub Brush. Make your spouse feel squeaky clean with a facial scrub brush for everyday exfoliation. Jet Spa. Add a jet spa tool to your bathtub for a relaxing, romantic night in with your lover and soft bubbles. Non-Slip Bath Pillow. ​Let your spouse lie back and de-stress with a bath pillow perfect for bubble baths and jacuzzi nights.